I know it's too late to be planting trees, but they were half price so I couldn't resist. 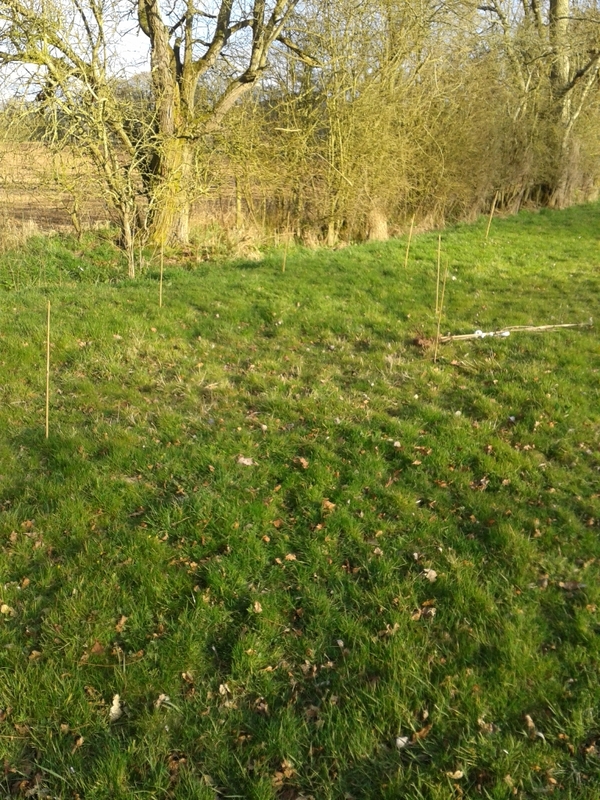 I 've decided to add to our little coppice area in the bottom of the second field. I wanted to plant some more trees for future firewood and have a few fruiting trees mixed in. 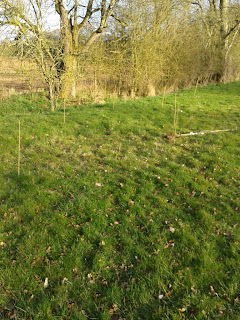 We've already got sweet chestnut, Rowen and hazel planted. To add to it this year I ordered 10 common hazel, 1 purple filbert, 1 kentish cob, 1 paper bark birch, 2 cherry plums, morrello cherry and a Stella cherry (I also ordered some more fruiting root stocks). I also moved a couple of flowering cherries I had in pots that I couldn't find a home for down to this area. I'm hoping it will be come a miniature "forest" garden area, I've also added a gooseberry cutting I had spare, alpine strawberries and a blackcurrant. 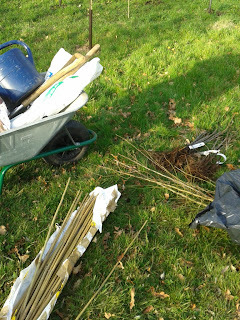 I will be adding bluebells, wild garlic and other herbs as the trees start to get established. The trouble is I need to fence it off and I've no idea how much space to leave for future growth of this area trees are more of a passion then grass at the moment! Want more bluebells and woodland daffs now? Not just yet as I'm too busy! Thanks for the offer though! Thanks. I think it's going to be a great place for the kids to play! This comment was ment to be the reply to janes comment.